Provide comfort for the family of Barbara Pluta with a meaningful gesture of sympathy. Barbara Ellen Pluta, 75, passed away peacefully on Wednesday, January 9, 2019 surrounded by her beloved family at her home in Westfield. Born in Newark to Frank and Leona Jezek, she attended St. Benedict's Elementary School and St. Vincent Academy in Newark. After living in Germany for the first year of her marriage, she and her husband Tom returned to the US and moved to their home in Westfield on Valentine’s Day of 1970. She and Tom have been faithful parishioners at Holy Trinity since then, where Tom serves as a deacon. Barbara was active in several pastoral and liturgical ministries, the Christian Family Movement and Family Promise which shelters and mentors homeless families. When she was 40, she began to work toward realizing her lifelong goal of attending college. She earned an associate’s degree from Union County College and then, at the age of 52, after attending school on nights and weekends while working full time, earned her Bachelor of Science degree in occupational therapy from Dominican College. She worked for many years as an occupational therapist in the Jersey City and Westfield school systems. Barbara loved Cape Cod and Ocean Grove and spent her happiest days there. She loved music and joyfully sang in the Holy Trinity Contemporary Choir. She was an amazing occupational therapist who helped countless children. She will always be remembered for her beautiful smile and joyful spirit. Barbara is survived by the love of her life, Thomas A. Pluta, her husband of 53 years, her daughters Ellen Pluta (husband Claas Ehlers), Jessica (Pluta) Heiberg (husband Todd Heiberg), her six beloved grandchildren, Arabella, Luke, Colette, Ethan, Jack, and Will, son-in-law Kent Diamond, her sister Mary Ann Malik, many nieces and nephews, and the best friends and neighbors in the world. She was predeceased by her parents, Frank and Leona Jezek, and her daughter Erika Pluta Diamond. Visitation for Barbara will be held at Holy Trinity Church in Westfield on Thursday January 17 from 6pm-9pm and Friday January 18 from 1pm-4pm and 6pm-9pm . A Mass of Christian Burial will be celebrated on Saturday January 19 at 10 am. Private interment will be at Fairview Cemetery in Westfield. In lieu of flowers, please consider making a donation in Barbara’s memory to St. Vincent Academy, 228 W. Market St., Newark, NJ 07103. Arrangements are in the care of Dooley Colonial Home in Westfield. 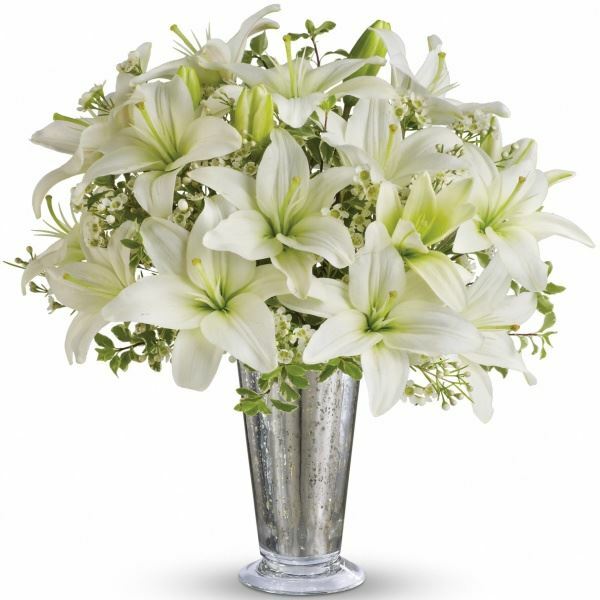 To send flowers in memory of Barbara Ellen Pluta, please visit our Heartfelt Sympathies Store. Donations are being accepted for: ST VINCENTS ACADEMY. Gretchen & Iris, Barbara Riedel, Denise Price, Kira Hanson, and others have sent flowers to the family of Barbara Ellen Pluta. Our deepest sympathy to Deacon Tom and his family. Gretchen & Iris purchased flowers for the family of Barbara Pluta. God Bless you and your family always. We are going to miss your lovely smile, manner & caring way. Frank will be waiting with open arms & greet you with a kiss. Know that you’ll always be with us.